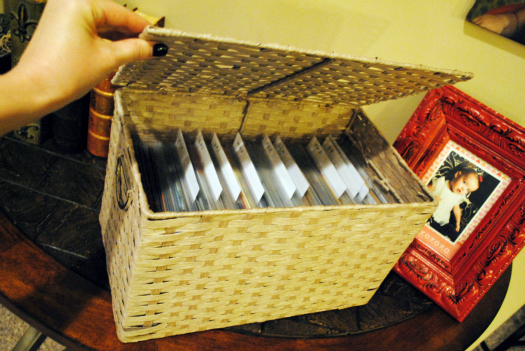 IHeart Organizing: Reader Space: Magical Media Storage! 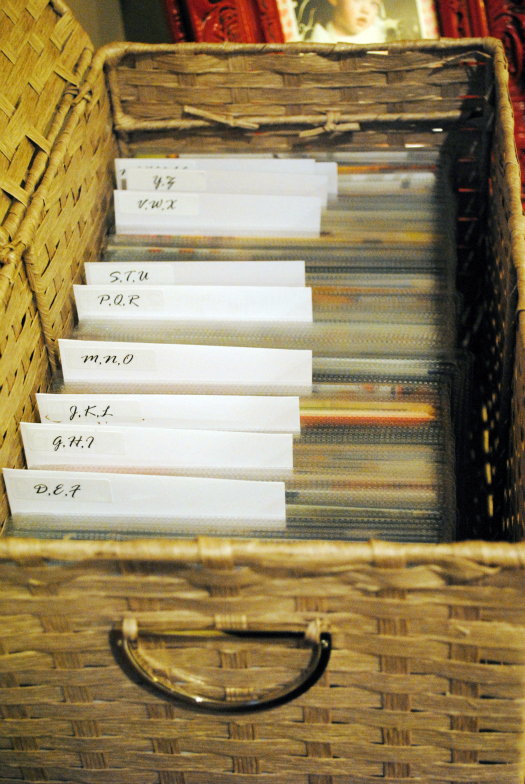 76 Reader Space: Magical Media Storage! Ever wonder what in the world to do with all those DVD's? All of those cases can easily take over any room they live in. Talk about massive storage hogs! Today's reader took back boatloads of space in her home by thinking creatively about her media storage. Thank you so much for all of your wonderful ideas. Every time I see you have posted something new, I get a little giddy inside. 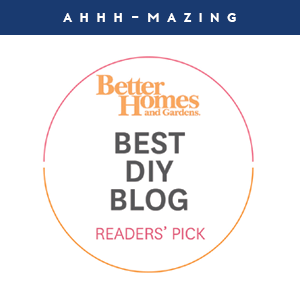 I love that your blog is so bright and fun! I did think that Ashlie's project was fantastic! It really shows us a new way to condense down the amount of space that media can gobble up! "My biggest issue with this space was the quantity of DVDs we have occupying my book shelves. It was such a waste of good space. I researched a little and eventually found the perfect solution! Each pocket has an insert that holds two DVDs nice and tight. 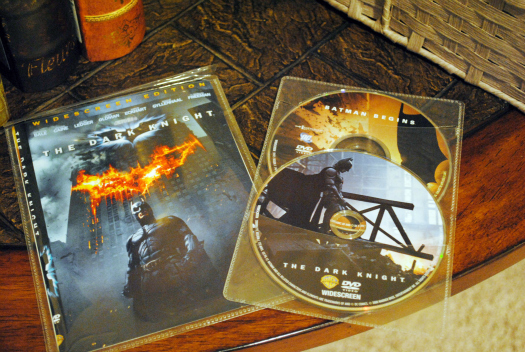 It's amazing how many movies have two discs that come with them. Does anyone ever watch the second disk of special features? I don't. 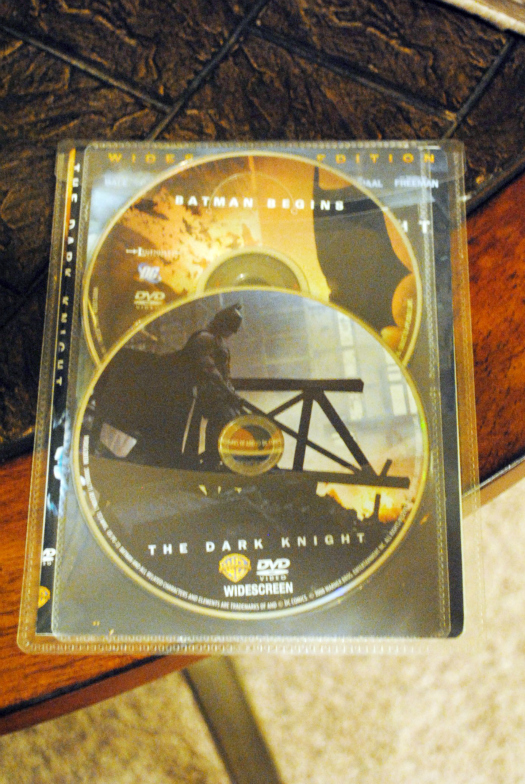 I took out the DVD label and folded them. I slipped them in the primary pocket of the sleeve. Then the DVDs were put nicely into the inner sleeve. To save some space, I would also combine the same types of DVDs that only had one disc. For example, Austin Powers 1 and 2 went into the same sleeve. It helped save space since I did have 150 DVDs!! Here it is all nice and neatly put together. To make them pretty, I found this basket with a lid at Home Goods. I love it when organization and design come together! OK, I know I could get creative with labels, etc. but I am a designer and not a cute label whiz. I actually like the simplicity of the labels. Want to know a little trick? I used envelopes to make the dividers. I just placed my label in the corner and stood the envelope up vertically. I think it worked out nicely. I created a separate section for the little one. I didn't want to have to look thru the entire box to remember what DVDs we specifically have for her so I thought her own little section would be appropriate for those times when watching Monster's Inc. for the 2,000th time is a matter of life and death! I came up with a good system to easily put the DVD back when we are done. I flip up the DVD right behind the one I took out so I know exactly where it needs to go. Can you believe there are 150 DVDs in this tiny little box? Me either! It is nice because we don't have to walk to the office to get a movie, they are now in our TV room." 150 movies in that basket?! Shut the front door! I am LOOOVE with her idea and how she was so resourceful creating labels from envelopes. Smart smart gal! And now her DVD's live in harmony with her beautiful room, because she disguised them in a beautiful basket. That always makes my heart smile! Don't you just get giddy with delight seeing this project? How do you store your media collections? OMG I heart this solution!!! I think I'm going to try to find those at my local Target as well. For my home though, we already have a built-in area in the entertainment center under the TV, but they don't seem to fit the right way...don't know why, so this might just be the solution I have been looking for. Thanks for sharing Jen!!! Love this idea! I've been thinking about doing something similar but I can't bear to part with the original cases for some reason. I guess I live in fear of "needing" them in the future - what if I want to resell the dvds we no longer watch? Any tips for letting go and taking the plunge? How do others rationalize the tossing of the cases? Ive been looking for a way to organize our DVDs!! Love this idea. Thank you for sharing! Awesome! I did something similar recently! I too found DVD sleeves at target but not nearly as fancy... I just bought the square envelopes with the cellophane fronts. I threw away all of the cases. 200 DVDs went from taking up multiple shelves to two small baskets on the console under our wall mounted TV. I love it! 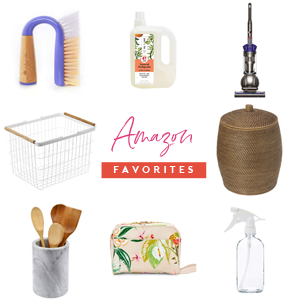 I recently found Ashlie's blog and love it!! This is such a great idea that I may have to steal it! Hey Annisa, This is Ashlie from The House Undone. I was having a serious problem letting go of the DVD cases as well. My husband was seriously losing sleep over it! Once I realized how much space I was saving and how nice my office would be minus the DVD's it wasn't hard. I kept the DVD cases for collectible movies like all of the Disney movies. Good luck and I can promise you won't regret it! I use the clear boxes with sleeves from The Container Store. Unfortunately we have paired down and still have 8 clear boxes, but it is a lot better than a huge wall unit with over 1000 DVD's. I am so glad I made the switch. I'm always inspired by your creativity! So much so that I left an award for you on my blog. Most of the awards I gave to my friends, but I just love your site so much I had to give it to you! A great idea - it bugs me that so much space is taken up by DVDs! I'm in the UK so may have to hunt a little further for these slip cases, but I WILL find them and purge all the plastic hard cases! This is a great idea! I just recently organized my dvds, but into a simple dvd book, which not only takes up a lot less space compared to the dvd cases, but it is also handy to grab the one case and pack when we go on trips. I still have two large totes FULL of empty DVD cases. Any ideas how to reuse or dispose of these cases? For any new readers here, there is a great recycle center you can send all your CD/DVDs (even broken), their cases, and other discarded items to: http://www.cdrecyclingcenter.com/. You can also do a simple Google search to see if a place near you recycles them. Check with your local public library to see if they would like CD or DVD cases. Most libraries circulate materials in these cases and need to replace them due to wear and tear. We use the same sleeves and they are FANTASTIC! We do keep about 6-8 cases put away in a drawer just in case we want to loan out a DVD and want a tougher case! We keep ours in the IKEA Kassett DVD boxes (http://www.ikea.com/us/en/catalog/products/40185841/) and we can fit a HUGE amount of DVDs in there. Seriously, best organizing thing that I have done to date! Oh my gosh, I love this! I hate staring at all of the dvd cases in our tv stand, and they've even overflowed onto a lower bookshelf. They're also piled one in front of the other so you can never find anything! I may have to do this this weekend! I found that photo boxes work extremely well. That's where we store our family movies and photos on disc. They sell those sleeves online at Target.com, too! Wow, I love this idea! We have 4 binders full of dvds, but this looks so much nicer and more convenient. I'm so excited to do this! 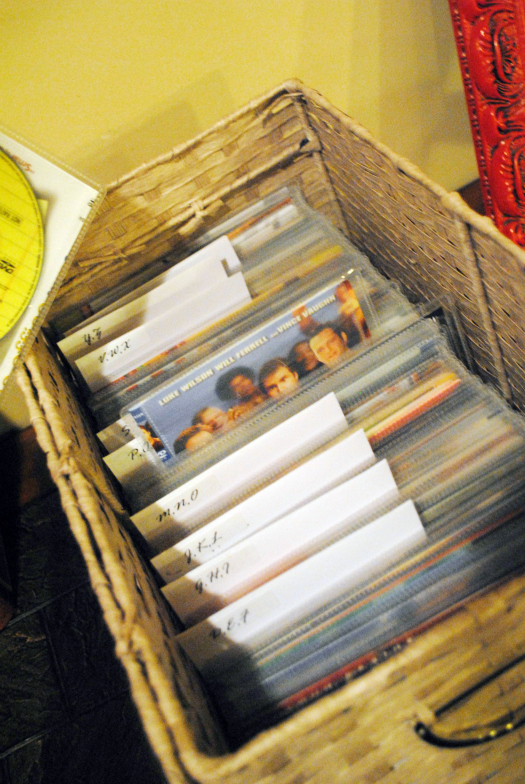 Love the DVD in a bin idea! I organized my clients in various ways, the DVD binder labeled for each member of the family (mom, dad, and kids) or by movie type (drama, trilogy, etc...). I have created a spreadsheet of all the movies sorted in ABC order by title and by type of movie. I print a copy out and place it in the movie room or leave on my smartphone device future access. Clever use of space and even better use of envelopes. Simplicity works! Several years ago I discovered DiscSox. They are similar to these sleeves from Target. I don't know which is less expensive or which is better, but since we have over 150 of this kind already, I plan to just stick with it. You can buy them at mmdesign.com. They even have storage systems for them, including decorative chests (look more like old suitcases to me). You could even take the idea from them and turn some fun luggage into storage yourself. I absolutely love having sleeves for the DVDs. It is such a space saver! I also got rid of all of our DVD/Blu-Ray cases and it was one of the best things I ever did. We went from a shelf piled high with DVDs and Blu-Rays in their cases to two black leather-look binders with sleeves for holding the discs. We were able to get rid of a whole shelving unit that I hated. I love this idea. Very cute way to store DVDs. I might have to do this! We have our movies in the storage closet downstairs! Now... what to do with the empty dvd boxes? I would hate to throw them all away. I donated mine! I'm sure someone will find a use for them. This is an awesome post with an awesome idea. This is such a great purge and saving space. WOW...what a GREAT POST!! Thanks so much for sharing. I absolutely LOVE your blog and can't believe I haven't found it till now. I am new to the blogging world. I hope you will add me to your blogging reader list.....http://crazyclutterlady.blogspot.com/. Thanks again....I'm a huge fan!!! I wish I would have known about that nifty way to store your CDs and DVDs! I sold ALL of them just to get them out of way but I would have loved to keep them :( Next time! Atlantic Inc DOES rock! I've used some of their gaming storage! This is great. I've also been meaning to sell some of our box sets but I can't bring myself to do it yet. And with the way my husband buys dvd's (and his love of dvd extras) our stash is only going to grow. Thanks for the idea! Anyone with a TON of movies (we had like three hundred)- here's another great option: burn them to an external hard drive! Such a simple idea, but it took me YEARS to figure it out! Just like you can import all your music into iTunes and get rid of the physical discs, you can burn movies with any program (handbrake and Mac ripper are what I use) buy a reasonably affordable hard drive (ours was 200 for two tb) and then stream to your tv. I now have TONS of extra space in my closet, literally!! GENIUS!!!! Thanks for sharing this great idea. Holycowthisisawesome!!! Our two toddlers think nothing is quite as much fun as pulling DVD cases off the shelf and throwing them all over the floor, and then walking on them. Most of our DVDs are currently residing in a big plastic bin under the dining room table (the lid of which does _not_ latch tightly enough). It's not good. I'm totally getting some of these sleeves from Amazon, and I already have nice little storage bins that they would fit in! I'm just geeking out about this!!! Wow! What a huge spacesaver. It looks like you do keep the picture part of the DVD in the case? It would be hard for my kids to find a movie if they couldn't flip through the pictures. OMG - I love this idea! I need to go to Target now. Thank you so much for sharing this awesome storage solution. It is very much needed in our household too. I love this! I was craming all our DVD cases back into the cabinet earlier this week, when I was thinking we needed a better solution(: This post came just in the nick of time! I could kiss this woman. I have been wanting to find a solution for all of our DVD's and my husband won't let me throw out the cases because he wants to save the covers. what Jenn said- we love this. We also use handbrake & Mac ripper with an extra hard drive. It's a great way to go since we now buy music & movies online & watch without burning to disc- as my husband says "no plastic was harmed in the viewing of this movie ; )"
All of our entertainment is wired to our computer- stereo receiver, speakers, flat screen TV and our mac. Our computer is command central taking care of all our media needs. With all the digital photos people take these days, especially those with kids, having an external hard drive to store digital photos files is also wise for safe keeping. Get burning all those favourite kid movies be the disk get scratched- another great thing about digital storage- no CD/DVD damage. This is a FANTASTIC idea, but Hubby would NEVER go for it! He likes our TWO WHOLE FLOOR TO CEILING bookshelves covered in DVDs lol! If I could, I would love to just buy a few of those 200 sleeve CD cases and get rid of the cases altogether! Except for our boxed sets of course! I also want to start converting from DVD to blu ray - they are so much more affordable! My dvd collection has been causing me anxiety everytime I put something on for the kids. 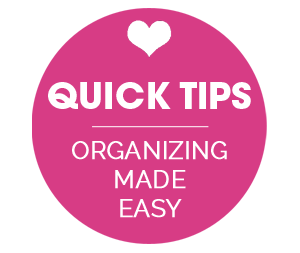 I have been channelling my inner "organising guru" but 'tis not happening. Thankyou for sharing this gem of an idea! Great timing! I am going to get on this one right away. No more broken cases, or pinched baby fingers either. Totally went to Target this morning and bought those. They're at the one in Hudson if you go there! I love this! We currently store all of our DVDs and CDs in binders. Which is heavy and ungainly and a real pain to alphabetize. Plus, since I wanted to keep the cover sleeves, they're all still in their jewel cases taking up a ton of space. Now I can keep the artwork and the discs and recycle the plastic! Yay! I'm from Germany, so I ordered my sleeves via amazon.com (we don't have something similar) and I can't wait to get them! Thanks for sharing this reader space! i totally flew to target after reading this post and bought 2 boxes. am ashamed to say that didnt even begin to cover our dvds. it's time to purge! i love this idea and plan to buy more when target gets them in. maybe wallyworld carries them also. thanks for the post. Oh how I love this wonderful idea! My daughter has hundreds of dvd's [I'm not kidding, she is 20 years old & wants to keep everything! She will not get rid of any of her movies from when she was a child. She says she's still a kid @ heart:)] and I'm trying to help her to get her room organized. I showed it to her & she likes the idea too. This is SOO awesome!! I have litterally been looking for a good sollution to this problem in my house!! THanks to I heart Organize! to post this just in time!!! and once again save the day!!! love it! esp. LOVE that you can keep the front paper from the case, as my husband hasn't wanted to use some other options becuase he wants to 'see' the cover!!! YAY! now we'll both be happy!! thanks jen!! you did it again and brightened my day AND gave me great ideas!!! LOVE, LOVE, LOVE these!! I ordered 100 and got them today. I dove right in and filled every single one. Then I ordered 25 more. It has made a HUGE difference in our hall closet!!! Thanks for the tip! I love this idea and am definitely going to use it! I am totally ready to make this my organizing project next month! Such a great idea. I bought these yesterday and had 75 movies organized in about 30 minutes. So worth it. Love, love, love this! I immediately went to Amazon and bought enough sleeves for all our movies (we live 2 hours from the nearest store other than a grocery store). The next time I made it "into town", I went to Ikea and bought the BLADIS box that is $12.99 (http://www.ikea.com/us/en/catalog/products/10164618/) and it fits the sleeves fabulously! I wanted a box like the one in this post but the Ikea one was the closest I could find and it has been great. 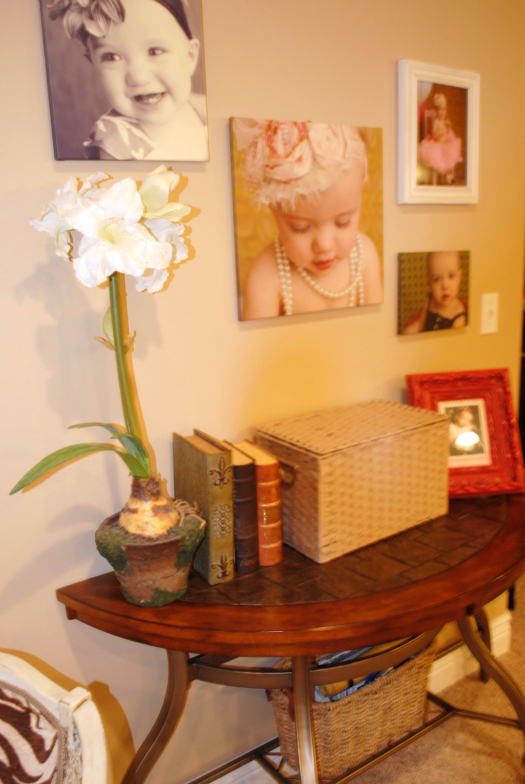 It is a little taller than the box in this post but it is a great solution! We use the same sleeves. LOVE that you can keep the front paper from the case. 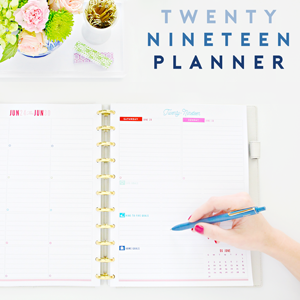 I am totally ready to make this my organizing project next month! Thanks to this entry, I went to two different Targets and cleaned out their stock of these sleeves! My single-case DVD collection used to take up two DVD shelves and a huge drawer of my BORGHAMN Ikea TV center. After sorting and purging and with 90% of my DVDs in sleeves, They take up only ONE media basket from Target! Now I can either take off the top two shelves of the TV unit or use the shelves to display knick-knacks until I move in a few months. Does anyone remember how much the sleeves were at Target? 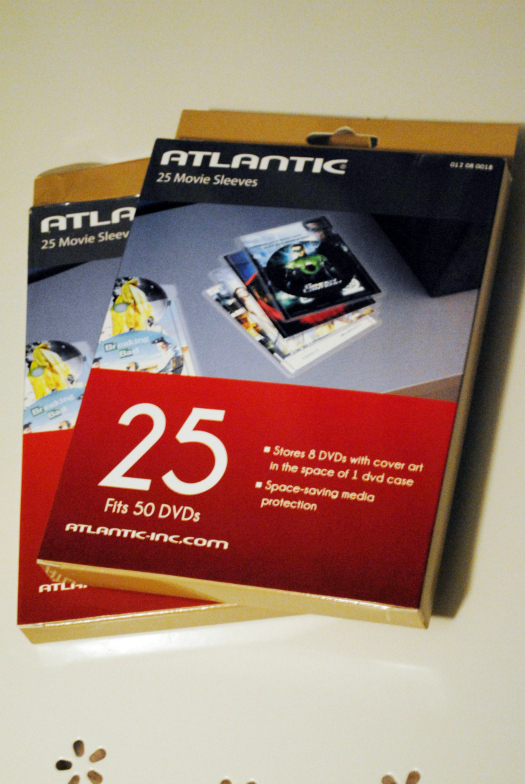 I bought the Atlantic sleeves but took them back because it was so difficult shoving the dvd into the sleeve, especially the 2nd one after the cover art and all was in. I can't imagine my 8 year old successcully getting dvd's in and out without breaking/ripping something. 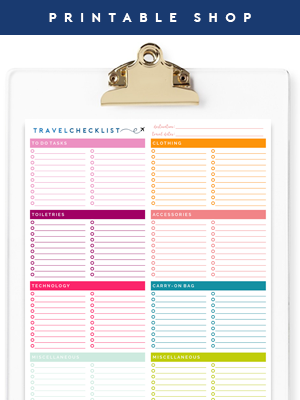 So glad I stumbled upon this... this will save me so much space! Thanks for the great idea and sharing!! Love this idea, my next project, and posted link on Facebook. Thanks! I could not find these online at Target. I did find them on Amazon. I am excited to condense our video library into a smaller area. We have four video cabinets and a basket full. Oh wow! I have just done the exact same thing with my dvds!! Massive space hogs indeed! !